After first treating us with the lead single "Hard Out Here" which prompted some controversy due to its music industry bashing lyrics and music video, the Cockney pop princess Lily Allen has now released a second single from her forthcoming third album. This single is called "Air Balloon" and it's a happy-go-lucky saccharine pop tune that even feels a bit M.I.A.-esque at times. 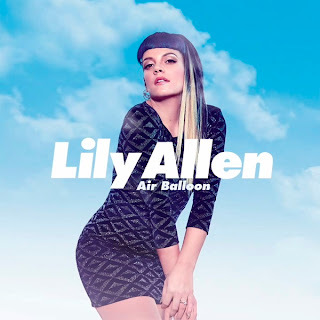 "Air Balloon" is certainly less controversial than its predecessor, although a music video is being shot as we speak so it might be too early to say. I do have a hard time believing it'll be as 'shocking' as that of "Hard Out Here". Meanwhile, she has criticised the music industry for its lack of experimentalism, calling it "formulaic and predictable". Hopefully her third album will be more adventurous with musical styles and elements, then. Not much is known about the album so far, and even the album title (plus the artwork) remains unreleased. Apparently she's still "piecing it all together" but says that she's "really really proud of it". Speaking to Popjustice, she confirmed that in addition to electronic pop, the album will feature dreamy trip hop-inspired material as well. She has also earlier said that there will be "some feminist vibes going on" and, of course, "a bit of swearing". EDIT: Here's the music video as well.